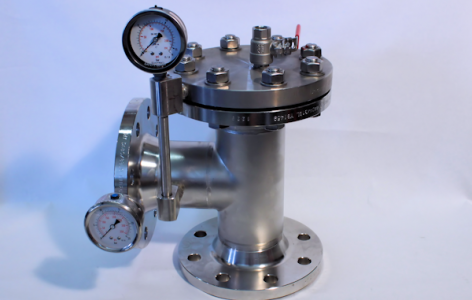 The VID Fire-Kill Model C-PR Pressure Reduction Valves are a series of robust and reliable deluge, angle positioned, valves created entirely in stainless steel (316L) and designed for reducing pressures at a pre-set pressure independent of flow and inlet pressure. The fixed pressure can be set to anything from 2-12 bar, and furthermore the Model C-PR valves come with a turbo function release opening the valve fully up in the case where more pressure and flow is needed. The C-PR Valves are designed to be easily disassembled for easy maintenance and refurbishment, and even without removing the valve housing from the rest of the system. The VID Fire-Kill Model C-PR Valves have successfully been endurance tested with 1000 operations cycles and have furthermore been tested to corrosion tests and other such component tests described in CEN/TS 14972. Further the valves have been evaluated in accordance to EN ISO 13849-1 and EN ISO 13849-2 to find MTTFd (Mean Time To dangerous Failure) and its was found that the valves can withstand 150 years lifetime before first dangerous failure will occur. The VID Fire-Kill Model C-PR Valves can be used in fire protection systems where the need of pressure control is needed independently of inlet pressure and flow. 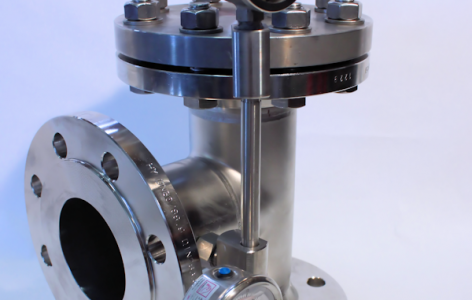 As the valves are made in 100% stainless steel 316L they are perfectly suited for watermist systems needing the high corrosion resistant design, however they can also be used with other fire protection systems such as waterspray systems, sprinkler systems and hydrant systems. They fit perfectly into systems being installed where high corrosion resistance, robustness and reliability is needed. Pressure reduction valves are often part of a system where large range of water pressure is created due to hydraulic challenges such as in high rise buildings, tunnels, etc.